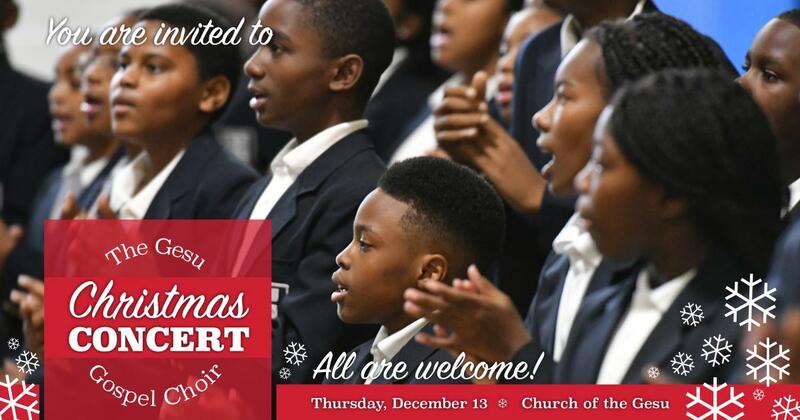 Join us to hear the beautiful voices of the choir and share Christmas joy! As our gift to the community, Gesu School presents our annual Christmas concert in the Church of the Gesu at 6:30 pm on Thursday, December 13, 2018. This year, we welcome special guests from St. Joseph's Prep Dei Gloriam Vocal Ensemble. We hope you can join us for this festive performance! To RSVP, click here. Or, contact Sarah Stirzel Cuzzolina at 215-763-9077 or sarah.cuzzolina@gesuschool.org.